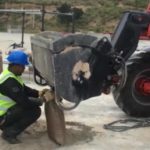 How do you get a mobile crane into an empty canal with no access ramp? 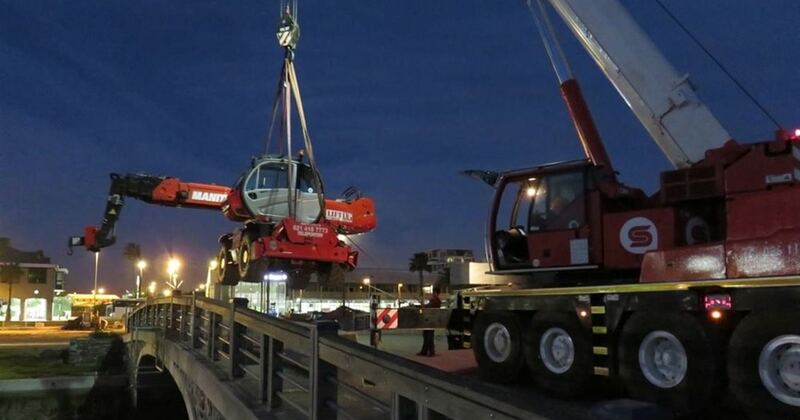 For this job we had to get a Manitou 2150 mobile crane into a canal at the Cape Town Waterfront. The only way to get it there was to find an even bigger crane to lower it from a bridge across the canal. 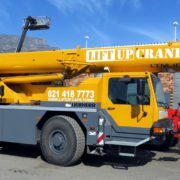 Luckily we had an 80 ton Liebherr mobile crane on hand to do just that. In the main photo above you can see the Manitou (weighing 16 tons) being picked up and lowered from the bridge. Once in the canal, the Manitou was able to help with the laying of a pipeline. 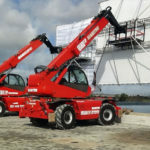 The Manitou 2150 mobile crane at work in the canal. Seagulls in the background making sure we do it properly! Every day we get interesting challenges to solve – but getting a crane to lift another crane was a highlight!